BEST VALUE YACHT ON THE INTERNET. You have to see this boat to appreciate firstly its build quality and then the condition it is maintaned in by the owners. The photos in the ad do not do justice to this beautiful yacht. Rarely do you see a vessel in such pristine condition. 45' Roberts Spray . . . 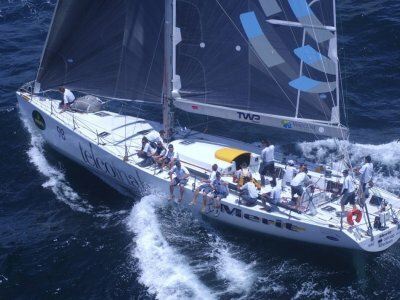 Newly established yachting business on beautiful Hamilton Island in the Whitsundays - " Grand Prix Yachting " - The business includes two Volvo Ocean 60 racing yachts in very good condtion, a three year concession to operate a business on Hamilton Island, a 365 day GBRMPA permit, a 5.8m . 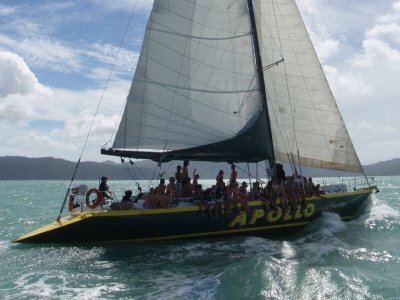 . .
GREAT RETURNS AND LIFESTYLE - JUST HAD MAJOR REFIT 2017 - $300,000 approx - 75ft Maxi Yacht taking a maximum of 27 passengers on 3 day 2 night cruises around the wonderful Whitsundays. Current Certificate of Operation for 69 day passengers in 1D or 23 over night. " Apollo " is one of . . .